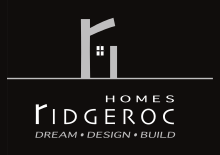 Ridgeroc Homes is a fully licensed Builder that provides a 10 year warranty on our homes backed by National Home Warranty. 5 Years coverage on the building envelope, including coverage and unintended water penetration. 10 Years coverage on all structural items in your home. Ridgeroc Homes is committed to building the highest quality home to last a lifetime, we are just a phone call away and will stand behind our homes so you just need to enjoy your new home without a worry.